This room I find most inspiring. 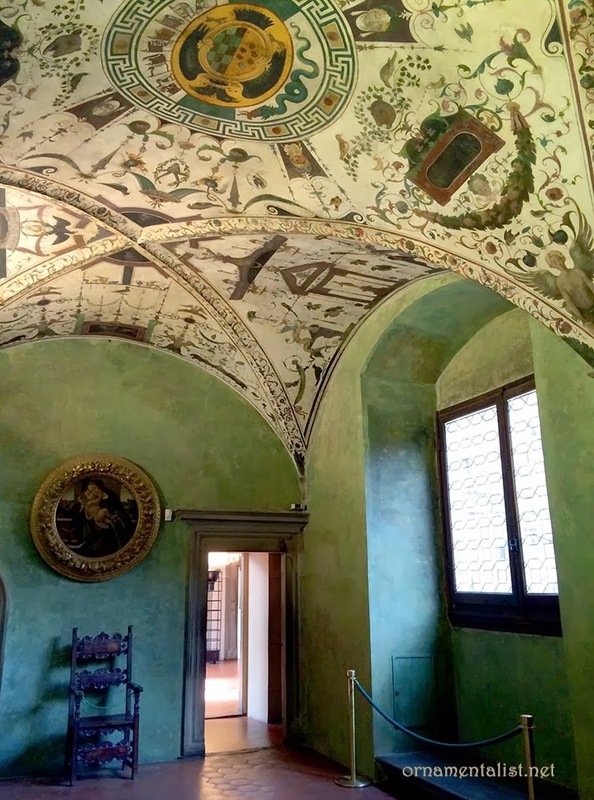 The Sala Verde, or Green Room, in the Palazzo Vecchio, takes its name from the landscape murals which previously covered its walls. 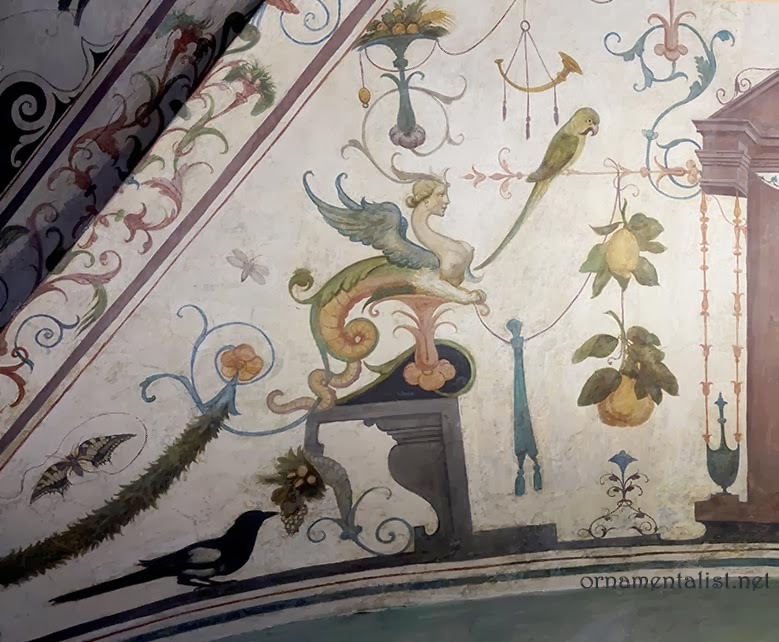 The room was decorated as part of the private apartments of Elenora of Toledo, and was meant to be like a garden room or a trompe l'oeil loggia. The wall murals long lost, a simple wash of green on the walls creates a shady atmosphere. I adore this color and I adore the way the ceilings look somehow more contemporary in this more simplified setting. I agree with you that the green is a lovely foil for that rich ceiling. It looks as though it's beautifully matched to the greens of the grottesca. I am catching up on your posts....I,too love the verde. It does give a contemporary juxtaposition that Europe does so well...mixing old with new.